On Arriving At the Airport / Railway Station of Delhi, Get Received and Guided By Our Tour Representatives and Get Started Driving to Shimla (375 Kms / 8-9 Hrs Drive Approx). On Getting There, Get Checked Into Your Pre-booked Hotel and Spend all the Night Long There. 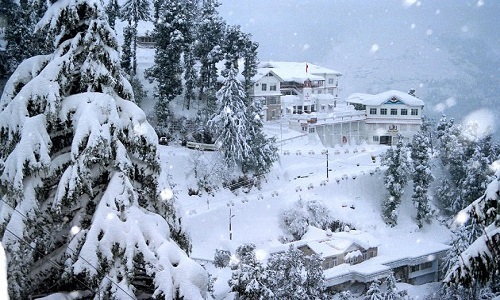 Take the Enjoyment of the Full Day Excursion Tour of the Popular Skiing Resort of Kufri, Fagu and Naldhera. After This, Proceed for the City Experience and Exploring of Jakhu Temple, Indian Institute of Advance Studies and Sankat Mochan Temple. Spend the Free Time of the Evening in Strolling in the Popular Shopping Place of Shimla Town – the Ridge and the Mall. After This, Get Back to Your Hotel to Stay Overnight. In the morning, leave for the full day excursion tour to take the view of Snow Point. 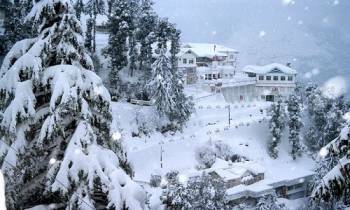 On your way, visit Gulaba, Kothi Gorge, Marhi, Rohtang Pass (Rohtang is closed because of snow fall) and Solang Valley, where visitors can find the best ski slopes of Himachal. After this, return to your hotel to stay overnight there. In the Morning, Set Out for the Local Sightseeing Tour of Manali, the Quaint Time with Several Features of Interest like the ‘hadimba Devi Temple’ Constructed in 1553, also Popular as the Dhungri Temple. also Pay a Visit to the Mountaineering Institute, Nehru Kund and the Vashishth Hot Sulfur Springs. Spend the Rest of the Day Leisurely. Stay At the Hotel all the Night Long. Early in the Morning, Get Started Driving from Manali to Chandigarh (325 Kms/8-9 Hrs Drive Approx). On Getting There, Get Checked Into Your Pre-booked Hotel. in the Afternoon, Set Out for the Sightseeing Tour of Chandigarh. Visit Rock Garden, Sukhna Lake and Rose Garden. After This, Get Back to Your Hotel to Spend Overnight There. Get Transferred from the Hotel to Get Started Driving from Chandigarh to Delhi, According to the Departure of Your Flight from Delhi. On Reaching Delhi, Get Transferred to the Airport of Delhi to Catch the Flight Back Home. and Now the Tour Ends.